The strip comes with 3M 200MP adhesive back. This adhesive is removable and reusable for few times depending on the dust on the surface. So, please clear the back of your monitor with soap and water and let it dry before installation. This is important for long term usage. If the monitor surface is non-stick or adhesive tape is loosing it’s adhesion capability, no worry, you can follow the 4th step of installation. All monitor frames are different, so you should find the best location for the strips before installation. The beam angle of LEDs are more than 120 degrees. So, you can install the strip to the sides or back depending on the distance between monitor and wall. a- You can install it on the frame tips. I’m using this setup with my Samsung LED TV. or you b- You can install the LED strip to the same position with your display. This type of installation helps to prevent orientation problems and requires shorter LED strip than first option. c- You can use the outer edges of your monitor. 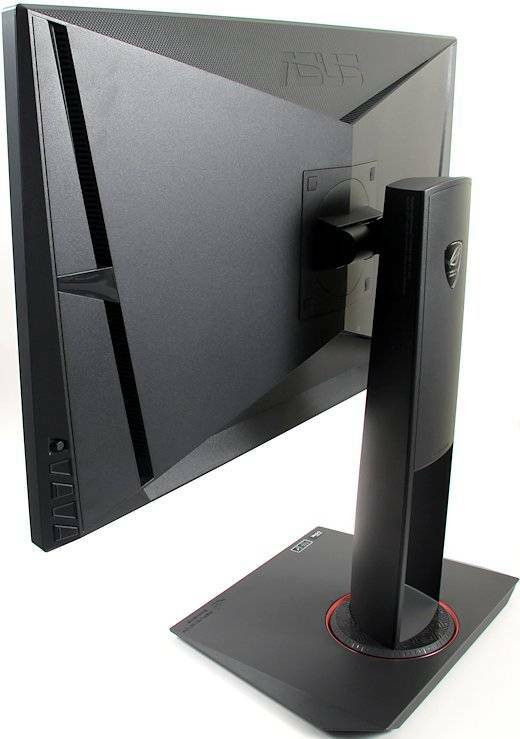 It’s a good option for thick wall mounted monitors. Illuminated wall area will be few times bigger than back mounted LEDs, but LEDs will be visible on the edges. The strip is only 100 micron thick. So, you can bend it to any direction easily. The only important thing about it is the conductive copper lines on the strip. Do not bend it more than 8-10 times in any direction, the lines can break. We are suggesting 2 types of bending method for corners. Remove the non-stick paper from the strip, place and press it to the surface gently. Finally, Press on the each LED to fix it. The controller box is the smallest but the most important part of AmbiLED HD setup. The controller includes a microcontroller to convert USB signals to LED control signals and works as a hub to connect Power, USB and LED cables. You will see an adhesive foam tape on the controllers back surface. This is a strong adhesive for single use only. So, please don’t attach your controller to back of your monitor before you are sure that everything is OK.
You can choose any place for the controller, but remember, we added a color/light sensor on it for future usages. You can place the controller to bottom/center of your monitor or sides for easy access. The adhesive material of the strip is reusable, so the adhesion capability depends on the load and surface conditions. You can use contact adhesives to install, if it comes loose in time. Apply a thin layer contact adhesive to the surface and let it dry for 10 minutes. Then press the strip to the surface. Now, it’s permanent on the surface but still you can remove if you wish. You just need more effort. Warning: Do not use PVC glue or Instant glue to install. These adhesives damage the surface and the strip. We are suggesting only contact adhesives. AmbiLED HD is an open source project which is based on Arduino platform. Download the AmbiLED HD Installer from this link. Run the Installer. It will install the software and place the FTDI driver files into the C:\Program Files (x86)\AmbiLED folder. Plug the USB cable to your computer. The Strip will turn on then off in 3 seconds. This is the start-up sequence of the controller. Congratulations! Your setup is ready to use. Note: if you already have a working Arduino environment, you can safely skip this step. AmbiLED_HD.exe will detect the last USB serial port on the computer and this is the right port for %90 of users and AmbiLED HD will run and you are ready for settings. please check your setup, cables and plugs first. If everything is OK, go to settings for choosing right com port. If you are using standard media packages like RaspBMC or OpenElec, you don’t need to install any FTDI driver. For special linux distros, please Google it. you can find FTDI driver installation help from Raspberry Pi communities/forums. Read this article for Hyperion software setup on Pi . Thanks for the product and the card. Hope you have a great Christmas. Perfect Kickstarter = best one I’ve been part of to date! Sad thing happened – my TV was faulty and had to be returned – good thing was I got to choose a new 4K TV but now I need more LEDS as the screen is slightly different mounting option. Where do you guys buy these from – or specs so I can source? OR can I send back my reel of LEDS and get a longer strip for some extra bucks? many many thanks for all your hard work and effort on this project -hope it has paid off for you guys financially. We are using WS2812B 60 LED/meters strips. You can find and buy them on ebay and solder it to the end of the strip easily. My personal suggestion is, don’t add a strip and leave a gap on the bottom center. Our software supporting this option and bottom center illumination is not important, if you are using a TV stand. is there any way to use the strips with 144 LEDs/m? Yes you can if you wish. But current resolution already higher than required. Is it possible to get a detailed instruction for the raspberry pi ? Yes, We will add this section soon. First of all, love the product!!!! I’ve got an issue though, I use a 120hz monitor. When the program is running, moving windows around is jerky. Is there any way to fix this? We noticed similar problems. We are using windows core based capture method but it’s slow. If we choose directx based one its fast but not working on some setups including Win8. So, capture methods must be selectable for different computers. We are working on AmbiBox support now. I guess this software will be better for most of user because of different capture mode settings like DirectX. Disabling Aero might work as a temp fix. at first i will give you congratulations for your awsome project, but i have a problem with the instalation. I installed the FTDI driver and followed the installation order and the Strip turn on then off in 3 seconds, but if i start the .exe the programm starts but the led dont glow up. I checked the port in the device menager but the right port was already choosen in the AmbiLED settings (there is only one to choose) so there have to be another problem, right? We didn’t noticed this kind of problem. The only possible reason, the com port is wrong or com port driver is not installed properly. If everything looking Ok including driver, please direct contact with me over Kickstarter Message system. It must be a controller problem. Already excited to write my own interface in Qt C++ for the product with a few more advanced features. Are you planning to provide a simple command interface summary for the hardware if I want to talk to it via serial or should I reverse engineer it from the C code when you release the firmware? Protocol is really really simple. That’s all. You should wait more than 30 milliseconds after 0xFF to printing the data to strip, then start with R (red) for second data. Ah, so just 3 byte colour words with a 0xFF+wait 30ms at the end for a single strip write. Seems simple enough. So that would put the maximum refresh rate at around 30fps? Hmmm… just tried that. Sending 00 00 00 80 00 00 ff at 115,200 results in the whole strip slowly lighting up to full white over a few seconds and then dimming down to off again over a few more seconds. I want to test individual LEDs on the strip with a small C++ program… Am I missing something? Do I need to send enough data for the whole strip and if yes, what is the magic number of LEDs in the strip? OK, to answer my own question: 180 LEDs and you need to write to the string repeatedly or it will turn off again. Also, I needed to increase the delay to 70 ms. But it works great now! Another quick question: What is the maximum value I can set all LEDs to at the same time without overloading the power supply? Can I go for 255/255/255 or is there a lower limit? You have to send 3 bytes color data for each LEDs and FF at the end thats all. Thanks for the quick reply! Didn’t realized that the firmware code is available before your comment… that obviously answers all questions! Thanks again for a great piece of hardware, really enjoying to play with it! I´m sorry for the doublepost but i thought you didnt see my post so, I checked the port in the device menager but the right port was already choosen in the AmbiLED settings (there is only one to choose) so there have to be another problem, right? I uninstall the driver and installed it again but doesnt work. The link for the driver software doesnt seem to be working for me? ANyone else have this issue? I just checked it’s working. For a fast and temporary solution I suggest AmbiBox for you. You can find the direction option under zone settings. I willa d this feature into the AmbiLED Driver soon. Useless answer. When I use Ambibox the Ambiled randomly turns on and off, or flickers (even if I limit update to 1 fps). You should not have released your product until it was stable. I guess you didn’t read ambibox setup guide. There is no problem with it. AmbiLED is not a “product”, it is an open source fun project and this is why the source and everything is open. If you read our posts, the current software is beta and we didn’t release alpha. Seems ambiled crashes amd gpu drivers on heavy use. Any steam game and when having multiple videos running on a single display the display drivers stop and ambiled throws an error. ambiled won’t light up again until i unplug its’ usb and plug it back in, no matter what i click and restart the app (including running as admin). Noted. I hope we can resolve the problem in alpha version of driver software. You can try AmbiBox software for games. I have received my pack and set it up. I have a 425cm led strip going around 3 pc monitors which make 1 big single display. I have put the correct firmware for the unit (long LED Strip), but the colours are not aligning to the screen. As you can see in our campaign page we are not supporting 3 or more monitors. And multi monitor support is limited by dual. “Is it supporting Dual or Multiple Monitors? Current software isn’t supporting Multiple monitors. You can use it with your primary monitor on multiple monitor setups. I have 2 GTX 770 EVGA Classified Cards 4GB each and 3 Dell Monitors Setup side by side (the same as in the link I have provided). They are all setup via Nvidia Surround settings which Spans the desktop across 3 monitors (mine are setup exactly as in the link, landscape). Yes it’s ok if you are using hardware based stretched monitors. It’s one monitor for Windows. Yes this is right “if you are using hardware based stretched monitors”.If your start menu on the left monitor and clock on the right. Yes you are using hardware stretched monitors. So, the software must be capture it as a one monitor. If you have gaps between monitor edges, alignment problems are normal. You should cut the strips on the edges and add some wires for extend to other monitor. As you can clearly see I have 3 monitor’s stretched and the led strip goes all the way around the 3 (no gap). It is obvious from the pictures that the colours are not aligned to the image. My resolution is 4800×1600. Unfortunately you are the only user who is using 3 monitors and stretching and there is no way to test your setup here. Please share the solution if you can find. Does it matter which way the LED 3 pin connector is plugged into the controller? of course it is. Connect it as photos shown in setup page. lights seem to be working good. just one thing every now and then the leds seem to flicker/ go a different color/strop/ go very bright for just a split second. even when just on the desktop with nothing open they go funny ever 2 to 3 mins. anyone ells getting this? I guess your capture speed is too fast because of disabled Windows Aero. Open config.ini (into the ambiled.exe folder) with Notepad. And increase the interval value from 1 to 30. Then restart the driver software. yep that sorted it thank you so much. have to say i love the ambiLEDs there far better then my Philips AMBX setup. AMAZING WORK!!!! Just want to know if there will be a forum for the AMBILEDs? just i want to know some info on doing some mods to the LEDs? like can i use a 10mm 4pin L shape Adapter like the ones in this link for the corners? or something like it? plus i want to know if i can upgrade the leds to 144/1m ? if so can you recommend a good strip to use? thanks again best kick starter ever keep up the good work. We didn’t used them in our project because of connector resistance and possible connection risks but you can use your own setup. AmbiLED is an ambient light system and current LED count is few times more than required. You can use 144LED strips but it will be slow because of high LED counts. Has anyone managed to get this working on Ubuntu yet? And set your Boblight for Adalight. If you need more details about boblight and adalight, please google it. Hey, Just got my Ambiled package in the mail yesterday and I’ve been trying to set up Ambibox 2.1.7 , but when I select Ambiled, it simply states Device status: ambiled not connected. I looked up the com port in my system devices, but I already picked the correct one. Can anyone help, as I would like to get fullscreen capturing (direct3d) working ? Also, I notice a lot of stutter in my movies when they play in pseudo fullscreen. We didn’t noticed a “not connected” problem when com port is right and not in use. Please restart the computer and be sure AmbiLED driver is not working when you run the AmbiBox. Had time to setup & configure my AmbiLED HD last night. Installed the new software and it works great. Thanks for a great Kickstarter and a really cool project. I installed my AmbiLED backwards (free end on the bottom right, going counterclockwise and ending at the end with the 3-pin plug in the bottom left. As a result, the lights are backwards from what I see on my screen. Is there a way to flip this in the AmbiLED software? Also, the monitor has a 1440p resolution and a 144hz refreshrate, is this compatible? If you can stick it on back of your monitor, yes it works. We have detailed installation manual including non permanent surfaces. So, If the surface is a problem you can follow the steps. 1440p is not a big problem but 144Hz is your monitor pixel rate. It will be around 10-12hz for ambientlights. Just wanted to say thank you, the stock 3m strip is enough for my 50″, the gap at the bottom isn’t noticeable! Hyperion on the raspberry pi is doing great, yesterday I’ve upgraded to osmc on the raspberry pi2, awesome! Thank you for the details. I’m in vacation till 26th Feb. Then I will install it into my new Pi2 and publish a manual for it. Just got around to installing these finally. Looks amazing. Really easy to set up on OSMC. Instruction s on this website made it too easy. Thank you very much from a very happy backer! Our Kickstarter Campaign just Launched!